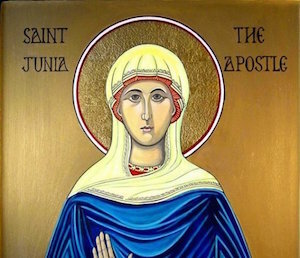 Junia: An Apostle or Not? Yesterday was International Women’s Day. In light of such, I put up a link to an article of mine where I reviewed Scot McKnight’s short ebook, Junia Is Not Alone. The book is all of 25 pages. In the book, McKnight discusses the enigmatic Junia (or Junias, in some translations). Many may not have heard of her, but she is mentioned at the end of Paul’s letter to the church in Rome. In those days, the major greetings came after the body of the letter. So we read about Junia, and Andronicus (her supposed husband), in Romans 16:7.